Net neutrality rule: The loopholes that could undermine an open Internet. The new net neutrality rule could look good, but beware these tricks. 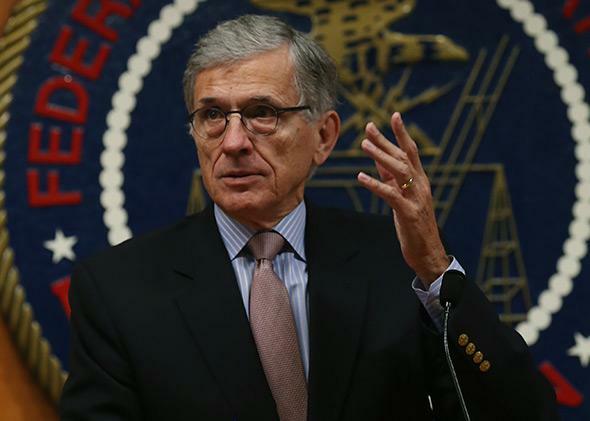 FCC Chairman Tom Wheeler may be working on the first draft of the latest net neutrality rule at this very moment. By next Thursday, Feb. 5, FCC Chairman Tom Wheeler will have written the first draft of the latest net neutrality rule. At this point, the draft rule will be shared only with Wheeler’s four fellow FCC commissioners, but he will likely give the public some notion of what’s in the order. If two of the other four commissioners agree to vote in favor of the new rule by Feb. 26, then the chairman will have a majority of votes (three), and the FCC will announce it publicly at the FCC’s Feb. 26 monthly meeting. We also expect him to look for votes from the two Democratic commissioners—the Republican commissioners have consistently and loudly opposed net neutrality rules. The two Democrats might negotiate to make changes to his Feb. 5 draft, but all three must agree to the same language for the rule. Between Feb. 5 and Feb. 26, there will be a three-week fight for the soul of the Internet. Cable and phone companies—which are among the biggest lobbying powers in D.C.— will send their legions of lobbyists through the halls of Congress and to every FCC office. All of the members of Congress in the cable industry’s pocket will try to derail the FCC. And the forces of goodness, truth, and justice (mainly civil liberties groups, churches, startups, and average folks fighting for an open Internet) will be organizing to counter that onslaught. President Obama issued a net neutrality plan on Nov. 11 that pretty much mirrored the filings of leading startups, professors, and advocates and would ensure no loopholes in the FCC’s authority or substance. If Wheeler’s rule deviates from Obama’s proposal and doesn’t include these four principles, you should be freaked out. Bright-line, enforceable rules. Obama called for “bright-line” rules against blocking, throttling, and paid prioritization, rather than vague standards against “unreasonable” behavior. A startup or citizen should have to prove only that Comcast or AT&T is throttling or otherwise discriminating—treating some applications or classes of applications’ data better or worse than others. We need bright-line rules that clearly define in advance which behavior is and is not allowed, using easily verifiable behavior. Without bright lines, but instead with just vague guidance like “be reasonable,” a startup would expect hugely expensive litigation lasting years, involving expert testimony by hired gun economists, not engineers, debating what’s “reasonable.” The cable lobbyists don’t want bright-line rules. They want super vague standards. If the FCC sides with the cable lobbyists, then the rule will include pretty language that seems to support an open Internet but is actually toothless, without any clear definitions or guidelines. Applying the rules to “interconnection.” Obama called for the FCC “if necessary to apply net neutrality rules to points of interconnection between the Internet service provider and the rest of the Internet.” What are these points? Essentially, the cable and phone companies can only charge for fast lanes if they create slow lanes that are so annoying websites need to pay for fast lanes. They could create these “slow lanes” either by creating digital traffic jams at the “on-ramps” (points of interconnection) or on the roads themselves (their routers in their networks). Either one has the same impact on users and on websites, so the FCC shouldn’t create an unprincipled loophole at the on-ramps. If anything symbolizes net neutrality for ordinary Americans, it is that annoying circular loading icon we got at the beginning, middle, and end of Netflix movies while Comcast and Verizon spent months shaking them down for money. Comcast degraded those sites through interconnection. That loading image featured prominently in online action on Tumblr and elsewhere; President Obama’s video announcing his plan opens with that very icon and the word “buffering.” If the rule bans fast lanes but doesn’t clearly apply strong rules to interconnection, you should be suspicious. Policing “specialized services.” Nobody really knows what a specialized service is, but the idea is that cable and phone companies might offer services that are not access to the Internet and they should be subject to different laws. Obama defined them as critical services for businesses not homes, using the example of “dedicated, mission-critical networks serving a hospital.” The FCC should define the term very narrowly and clarify that cable companies cannot use them to circumvent network neutrality rules on the Internet. That is, ISPs shouldn’t be able to create fast lanes and merely call them a separate, special highway where rules don’t apply. Title II authority. Obama called on the FCC to use its “Title II” authority. That’s the FCC’s main authority, and the commission uses it to govern phone service, mobile phone service, rural access to the Internet, and big-business access to the Internet. But for a long time, when governing most American’s Internet access at home and on their smartphones, the FCC relied on inadequate scraps of its authority in other parts of the law to enforce net neutrality. Last January, a court told the FCC that that wouldn’t work anymore—it had to permit “Internet fast lane service,” discrimination, and new tolls online unless it relied on Title II. Wheeler initially opposed Title II. But his thinking seems to have evolved after he was inundated with complaints and stories—and the American people showed they could stand up to the cable companies in D.C.
Law is a game of detail, of politicians saying one thing but actually doing another. But the FCC understands these issues. If you don’t recognize the loopholes, the FCC might be able to slip the ring right past you. And, if they get the details as correct as Obama did, you will know that Internet users—not their cable companies—still rule the cyber-earth.